In this Jan. 13, 2016 file photo, a clerk at a convenience store pulls Powerball tickets from a printer for a customer in Tampa, Fla. The Powerball jackpot for the July 27, 2016, drawing has soared to over $420 million thanks to nearly three months without a winner of the big prize. No one matched the jackpot-winning numbers in Wednesday night's Powerball drawing, but one lucky person in Arlington, Virginia, is $1 million richer. 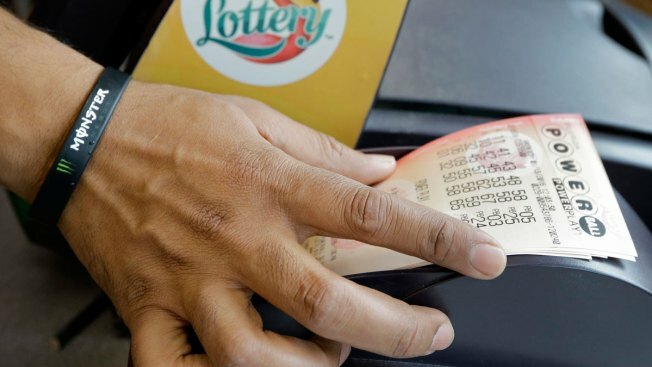 The ticket was purchased at the 7-Eleven at 4223 North Fairfax Drive, near the Ballston Metro station, Virginia Lottery officials said. The ticket matched the first five numbers in Wednesday's drawing, but not the Powerball number. The numbers drawn were 10, 47, 50, 65, 68 with a Powerball of 24. There were only four $1 million winners nationwide. But an estimated $478 million jackpot is still up for grabs. The next drawing will be Saturday. Nearly three months have passed without a winner of the big prize. If anyone matches the five balls and red Powerball in the drawing, it will be the game's first jackpot winner since May 7.